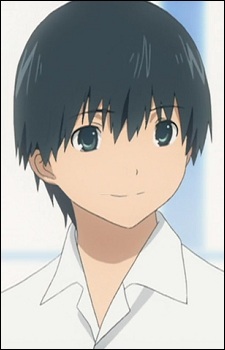 A cheerful boy who dreams of being a paramedic, Ayumi falls for Mamoru quickly when he offers to take her to the nurse. Although he is in Ayumi's class, Ayumi only realizes that he is in fact Misao's younger brother a day after she meets Misao. He is somewhat taken back by Ayumi; he believes she is more fearsome than she may appear. Furthermore, despite Ayumi's feelings, Mamoru has a crush on his next door neighbor Misaki Yamamoto. He later runs away with Kusuda and Sogabe after he was turned down by Misaki.